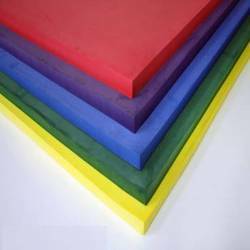 Our range of products include xlpe foam sheet. Being a coveted firm, we are indulged in manufacturing an exclusive range of Cross-linked polyethylene XLPE Rubber Products. Due to its superlative quality, fine finish and environment friendliness, offered range is in huge demand in the international market. We offer these products in different shapes, designs, colors, sizes and other specifications to suit the diverse needs and requirements of our clients. This range comprises of XLPE Roll, XLPE Sheets and XLPE Fitment that is widely applicable in a variety of industrial applications for packaging products.